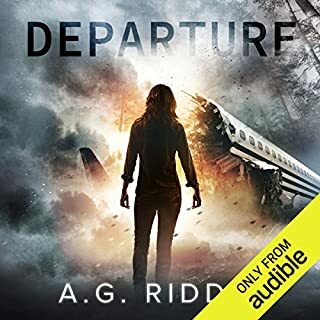 En route to London from New York, Flight 305 suddenly loses power and crash-lands in the English countryside, plunging a group of strangers into a mysterious adventure that will have repercussions for all of humankind. 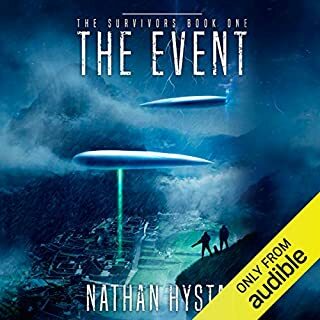 Struggling to stay alive, the survivors soon realize that the world they've crashed in is very different from the one they left. But where are they? Why are they here? And how will they get back home? The thrilling conclusion to The Extinction Files is finally here! In 2003, the first human genome was sequenced. But the secrets it held were never revealed. The truth was discovered 30 years ago, almost by accident. Dr. Paul Kraus had spent his entire career searching for what he called humanity's lost tribes - human ancestors who had gone extinct. When Kraus compared the DNA samples of the lost tribes with our own, he found a pattern of changes: a code. At the time, the technology didn't exist to unravel what it meant. Kraus hid his work and disappeared. Northern Morocco: Dr. Kate Warner cured a global pandemic, and she thought she could cure herself. She was wrong. And she was wrong about the scope of the Atlantis conspiracy. 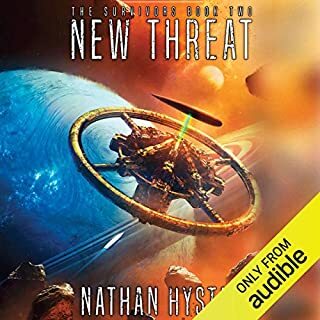 Humanity faces a new threat, an enemy beyond imagination. With her own time running out and the utter collapse of human civilization looming, a new hope arrives: a coded message from a potential ally. 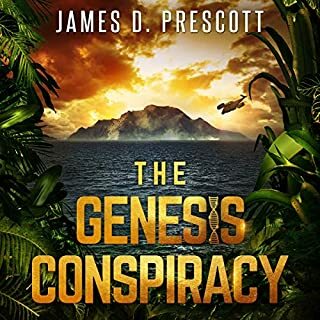 In Marbella, Spain, Dr. Kate Warner awakens to a horrifying reality: the human race stands on the brink of extinction. A pandemic unlike any before it has swept the globe. 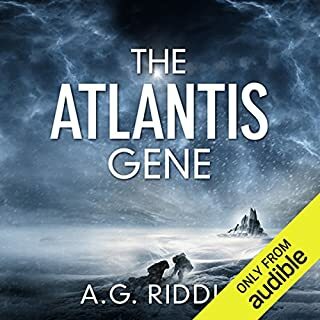 Nearly a billion people are dead--and those the Atlantis Plague doesn't kill, it transforms at the genetic level. A few rapidly evolve. The remainder devolve. As the world slips into chaos, radical solutions emerge. Industrialized nations offer a miracle drug, Orchid, which they mass produce and distribute to refugee camps around the world. But Orchid is merely a way to buy time. It treats the symptoms of the plague but never actually cures the disease. Dr. Jack Greer's startling discovery beneath the Gulf of Mexico proved to the world we were not alone in the universe. But when images from the Voyager One space probe reveal an alien doomsday ship hurtling toward the Earth, the human race seems marked for extinction. 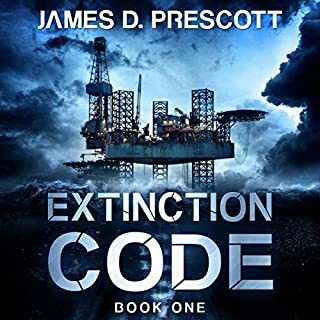 As news of the approaching ship spreads panic around the globe, signs of a sinister plot begin to emerge - one that threatens to unravel the already fragile fabric of society and everything Jack and Dr. Mia Ward have fought for. A year after the Event, horrific memories of the vessels linger in Dean’s mind as he tries to find his way forward in his new life. But now the heroes of Earth face a new threat that endangers the fragile remnant of humanity. Two rebel hybrids have escaped from their segregated encampment. Dean and his team pursue them across the galaxy, racing to catch them before they reach an unseen enemy. This new threat is looming over Earth, their name spoken softly and fearfully by anyone who knows of them. The ice is coming. It was the last thing we expected, but the world is freezing. 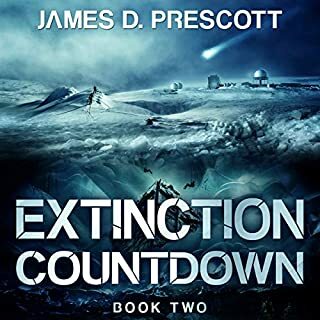 A new ice age has dawned and humanity has been forced to confront its own extinction. Billions have fled the glaciers, crowding out the world’s last habitable zones. They can run from the ice, but they can’t escape human nature: a cataclysmic war is coming. Suddenly humanity must face the possibility it is not alone in the universe. And the terrifying possibility that whatever is out there may be trying to exterminate us. Loved it. 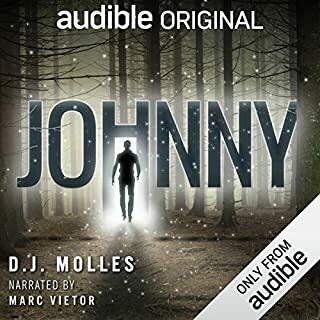 Look forward to listening to the next one in the series. The narration was also great! 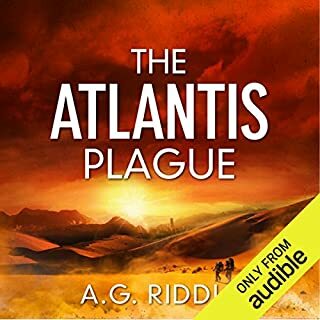 Once again I hold a treasure of a story by A. G. Riddle filled with a magnanimous blend of science and AI with adventure, motivation, and determination. Each character is filled with distinguishable personality made even more prominent by exceptional actors giving life through astounding and synchronous voices. The story advances with an excellent pace that readers / listeners will have no complications with. The story is entertaining, interesting, adventurous, educational, and extremely well composed. The humour and sarcasm mix well to enliven each conversation and person and enhance the listening experience. The story details are pieces together and released at well thought out points during the story and confirm Riddle has exceptional story telling abilities whilst maintaining faith in the readers and the way minds work to gather information and draw conclusions just in time to arrive at more information and better conclusions. Henry’s movie quotables are absolutely hilarious followed with James’ sarcasm. Such an enjoyable listen! But I will not divulge what happens. You must read this story to find out. You won’t be disappointed. 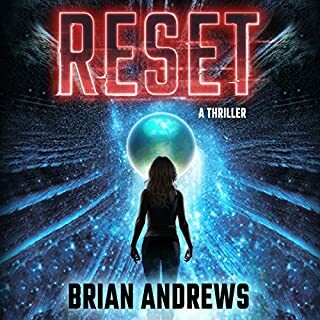 It was not a bad story, was looking for a hard science fiction story ended up a love story in space with barely a nod to the problems of intersystem space travel. As a love story, it would rate at least a four start review by someone more talented in exposition than I.
I devoured this book. 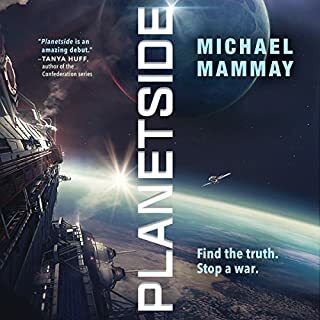 Excellent hard sci-fi with enough twists and turns to keep you guessing without being totally implausible. 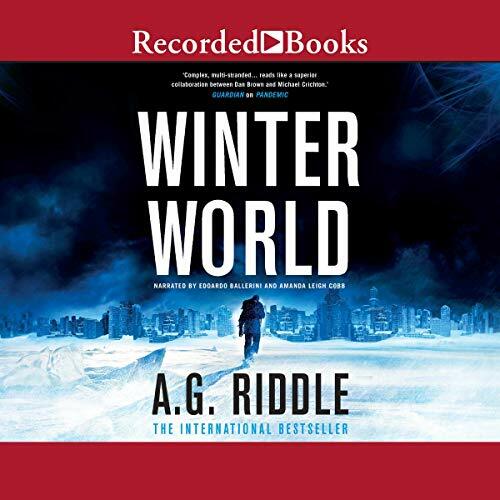 Winter World is The Martian meets Armageddon meets Star Trek TNG, all of which this consumer found outstanding. It's been years since the last time I had as much difficulty putting my earbuds down. As a fellow suspense author, I read a ton of competitive works but rarely review them. Doesn't feel right judging my peers. But this book is so well written and so artfully performed that I was strongly compelled to sing its praises. It’s a beach read. Plot is entertaining but very predictable. Writing is amateurish. Nothing to write home about but worth a read. Narrators are pleasant to listen to. 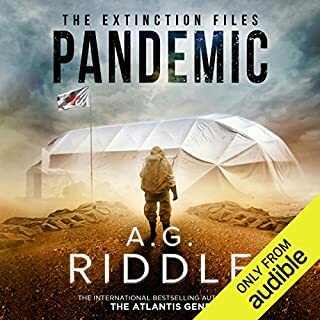 AG Riddle slams you with suspense, global problems with human frality and strength .Riveting and exciting. 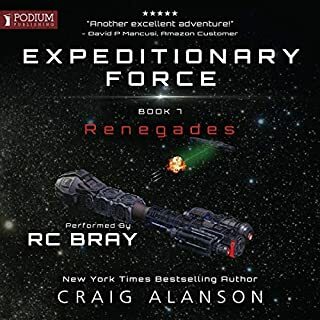 Excellent sci-fi with lots of turns and actions to keep me going. 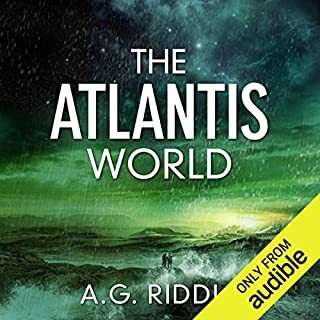 LOVE A. G. Riddle books and this is not an exception. I highly recommend this book to anyone seeking adventure and apocalyptic situations. The premise of this book was interesting, which is what led me to purchase it, however I was disappointed for a number of reasons. 1. The character of Emma was really poorly executed. Her entire reason for existing in the story seemed to be to validate all of the things James says and does. This is the epitome of a male author writing a part for a woman without having a clue about women. Making an astronaut play the part of a damsel in distress was embarrassing to read. 2. The science was bunk. A lot of inaccuracies in how things would play out were the planet to undergo massive cooling. I've heard some reviewers compare this book to "The Martian" for some reason. The Martian managed to get the science right. 3. Many of the "plot twists" were completely predictable, chapters in advance. Many plot points were never followed up on or glossed over. The author really seems to have phoned in some of the effort on this one, and the editor also doesn't seem to have done much to help either. All in all, I was super disappointed in this book. I wanted to like it but it just didn't deliver. I'm definitely not going to bother with the sequel. I loved this book! One of the rare ones that kept me listening nearly all the way through. I loved the flawed characters, the science, the love story... all of it. The narrators were terrific. I got all excited listening to the info at the end about the sequel, but realized it wasn't out yet. Bummer. 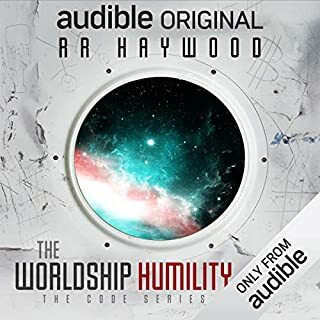 Highly recommend for those who like science fiction, particularly apocalyptic sci-fi. not goind to say much and risk q spoiler. read it. you will love it. 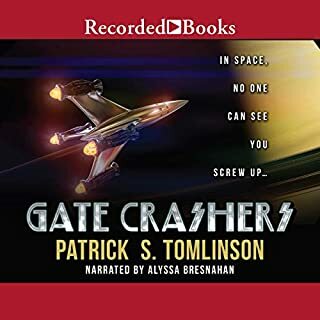 This audiobook was witty, smart and very very techie. It had me hook line and sinker right from the get go. It is a combination between outerspace and back on earth. Riddle gives us characters that you just cheer for and love all the way through the book. The story unravels just like the secrets that each character holds and it stays true all the way through. What an ending! 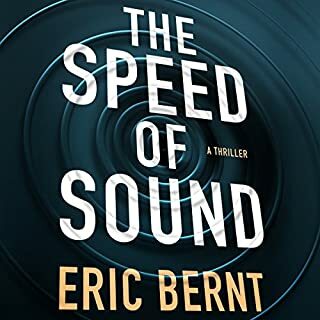 I did not see that one coming and could not put this one down through the last two hours or so of the audiobook. 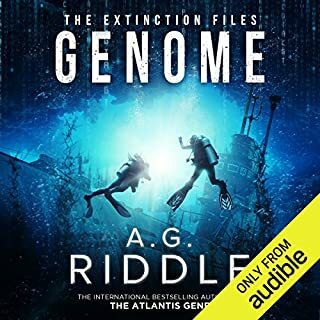 Riddle mixes his imagination with what undoubtedly is some major research he had to do for this book and it blends together so nicely. I cannot say enough good things about this one. The performances were very well done it is duel narration between a male and female performer and they were both very well done. Each provides their own flair and unique way of presenting characters throughout this book. There is some mystery left at the end as well which will be revealed in the second book. I am so excited this has turned into a series. The second book sounds just as fascinating as the first.